Club Kekkonen on Kalajoen Hiekkasärkillä sijaitseva aikuisten baari. Vieraile baarin kotisivuilla. Tampere-talo on Pohjoismaiden suurin konsertti- ja kongressikeskus jo 25-vuoden ajan. Vieraile Tampere-talon kotisivuilla . Kalajoen hiekkasärkiltä löytyvä Dyyni on perustettu vuonna 2003 ja on Hiekkadyyniravintoloihin kuuluva ravintola. Vieraile ravintolan kotisivuilla. "Yhteistyö OPENin kanssa on sujunut hyvin. Olemme saaneet apua ongelmatilanteissa, joita tosin on tullut eteen vain muutamia. Erityisen mukavaa on ollut, että OPENilta on oltu oma-aloitteisesti yhteydessä meihin ja useamman kerran kyselty kuulumisia. Palvelu OPENilla on asiantuntevaa ja ystävällistä"
Leipomo-kahvila Arina on pieni ja paikallinen yritys Sastamalassa, jonka omistajat Itse työskentelevät päivittäin leipomossa ja kahvilamyymälässä. Vieraile yrityksen kotisivuilla. Oslofjord Convention Center (OCC) valitsi OPENin järjestelmän, sillä se tukee ravintola-alan ja vähittäiskaupan vaatimuksia. Lisäksi se on vakaa ja luotettava. Oslofjord Convention Centerillä koostuu 2500 hotellihuoneistosta (vuonna 2020) ja yhdestä Norjan suurimmista konfressisalista, ravintoloista, baarista ja kioskeista. Lisäksi Oslojord Arenalla on kattavat urheilumahdollisuudet, uimaranta ja kokonainen vuono aivan laiturin vieressä. Oslofjord Convention Center on yksi Euroopan suurimmista kongressikeskuksista, jossa toteutetaan suuria unelmia. "Haluamme olla toimialallamme eturintamassa ja siksi testaamme uusia asioita, jotka voivat parantaa palveluamme ja olla käyttäjäystävällisiä sekä meille että asiakkaillemme. Nyt tuntuu, että saimme molemmat asiat yhdellä kertaa tämän maksujärjestelmän avulla. Järjestelmän käytettävyys on uskomatonta luokkaa ja voimme hyödyntää sitä niin sisätiloissa kuin ulkonakin." Restel Oy on suomalainen ravintola-alan yritys, johon kuuluu noin 170 ravintolaa, työllistäen yli 2 900 ravintola-alan ammattilaista. 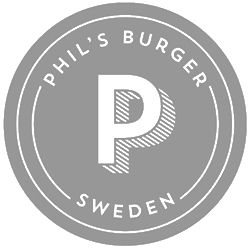 Restelin ravintoloita ovat BURGER KING®-, Taco Bell-, Rax Buffet-, Shell HelmiSimpukka-, Martina-, O’ Learys- Wanha Mestari- Hemingway’s -ravintolat sekä Tapahtumaravintolat. Ravintola Holmenkollen sijaitsee talossa, joka on vuodelta 1892. Maalaismainen tunnelma ravintolassa luo lämpimän ja rennon ilmapiirin ravintolaan, joka sijaitsee vain kivenheiton päässä Holmenkollenin kansallispuistosta tarjoten kauniit näkymät kaupunkiin ja vuonoille. 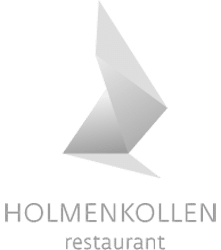 Vieraile Holmenkollenin kotisivuilla. "We are very pleased with the cash register and the personal service we receive from KDR. KDR Gold is a flexible system that can be tailored to please all the different needs of Elite Service Partner." Since the start 1983 Elite Service Partner AS has developed into one of the largest service companies in Norway. Today, they have 26 cash registers in operation after 10 years of cooperation with KDR. "KDR is an all over system that helps to streamline your day-to-day operations, as you can tailor the system to your own needs! We are also pleased with KDR support, they are always available to help." Fiskekrogen was established in 1989 and has for almost 30 years been an important part of the service industry for the whole region. Fiskekrogen is located in the middle of the harbor in Henningsvær, far in Lofoten. "We have about 70 seats inside and 150 seats outside in a lovely outdoor dining area. By using OPENSs TablePay we can maintain a high level of service, despite increased distance and number of guests during the summer." "OPEN has a comprehensive solution for cash registers that are easy to use regardless of age and experience"
"OPEN´s BackOffice is an excellent analysis tool where we can easily track statistics on sales hour by hour in all operations"
"OPEN is a well-functioning system with good integrations and they are one step ahead when it comes to development and new features." Dahl's bakery was founded in Gothenburg in 1935, which is their primary market to this day. "We chose OPEN because it is a well-developed POS system with good and important interactions that increase the efficiency of our operations"
"OPEN has proven to be a favorable cashier system, all of the features one could need are included in the service. OPEN is in the forefront when it comes to POS systems on the market, they are proactive in many situations." Mr Cake is located on Rådmansgatan 12A in Stockholm, visit Mr Cake for more information! "OPEN is a smooth and competitive system that meets our requirements very well, we have recommended it to many other people within the industry"
Isabelle is a French bistro with a Nordic twist, it is located on Teatergatan 22 in Gothenburg. Visit Isabelle to get to know more about the restaurant! 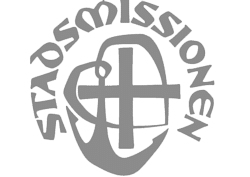 Göteborg Stadsmission is a nonprofit organization with 14 sales points throughout Gothenburg. They have a variety of different operations such as secondhand boutiques, restaurants and recipiencies. Lion Bar on pub-ravintola, joka tarjoilee asiakkailleen jännittäviä ja monipuolisia ruokaelämyksiä. Yritys on laajentanut toimintaansa ympäri Ruotsia ja osa sen toimipaikoista toimii franchising-periaatteella. Würst is a restaurant in Gothenburg that serves Würst artisan sausages with a mix of different side orders. 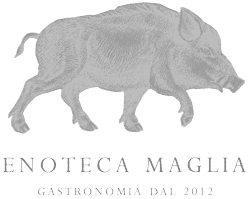 The sausages are produced locally, and the recipe is created by the owners to deliver the best possible taste from natural commodities. 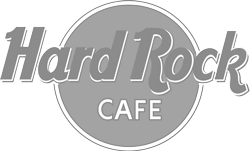 "Hard Rock is a well-established restaurant chain that value a secure and safe payment solution for their customers"
Hard Rock Cafe is a restaurant chain that has been established in Sweden for over 30 years. During all these years, they have set an example for how restaurants and nightclubs should be run. "To have a cashier system that can handle a large flow of costumers is crucial for Stockholmsmässans wardrobe business"
Stockholmsmässan is the Nordic larges exhibition and congress center with over one million visitors and has been a place for people to meet for over 70 years. Stockholmsmässan is a place for people to share knowledge, make business and to get inspired. 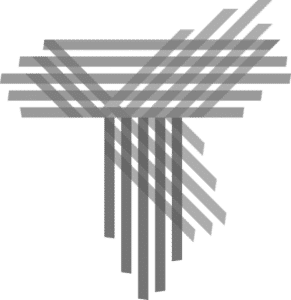 Global Security AB is a security company that focuses on complete solutions for partners within the restaurant, hotel, meetings and event business. 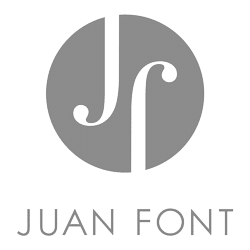 "To be able to see the sales in real-time through OPEN´s BackOffice program and change prices without the need of being present in the store is very efficient for Juan Font." Juan Font is a small wine bar within Teatergatan in central Gothenburg. The wine bar offers Spanish and French wines as well as appetizers like cheese and meat trays, pizza, steak-tartare and oysters. "Today, Rasta has 23 facilities. OPEN has created a system that gives Rasta central control of all locations." Rasta's mission is to provide the best road facilities with good food, fuel, stores and hotel rooms. Tele2 Arena was completed in 2013 and was in need of reliable systems that can handle offline transactions. The multi-functional arena is very modern and has an adjustable roof. Tele2 Arena aims to be in the forefront and be as dynamic as possible. This is possible with the OPEN´s system that can be adjusted to according to daily needs. Tele2 Arena is an athletic and event venue located in southern Stockholm. "OPEN´s rental solutions are perfect for our seasonal organizations that are open during the spring and summer like outdoor operation Bar Himmel!" Bar Himmel has Gothenburg’s largest outdoor seating and may be considered the best one available during the summer. "OPEN’s goal is to cut long lines with the effective cashier system which leads to an increase in sales. We are happy to have implemented this system at Collage!" Collage is an upscale nightclub and is located near Stureplan in Stockholm. "We at OPEN believe that the best cashier solutions are the ones that require as little administrative time as possible. This was our top priority when we installed Flustrets cashier system!" Flustret has delivered fun, energetic and eventful evenings to their guests since the beginning in 1842. "Summerburst has 60 000 happy festival-goers daily during their concerts. OPEN can offer a complete system that can handle the large extent of people!" Summerburst is a two-day music festival that is dedicated to the electronic house music in Stockholm and Gothenburg during the summer. "The festival Way Out West has 33 000 visitors per day and therefore needs an effective system that can handle many people at a fast pace." Way Out West arranges a three-day festival in central Gothenburg during August with hundreds of people in attendance. "MultiPay and ChipXpress make it possible for Kooperativet to serve 1,300 guests within an interval of 40 minutes; all by using four terminals, one checkout, and only one person taking care of the payments. That´s what we at OPEN call efficient." Kooperativet is likely to be Lindholmens most popular lunch restaurant, serving up to 1,300 guests on a daily basis. 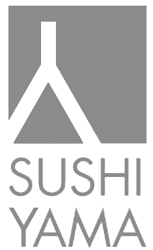 "TOSO can now improve the customer experience and service with our function TablePay." TOSO is one of the top restaurants in Gothenburg, serving food inspired by the Asian kitchen. "In the casino business, it is important to have strong digital security which OPEN´s products are well-equipped for." Casino is a one of the oldest and most trustworthy corporations in Sweden. "Rederi Eckerö needed a system customized for their organization." Rederi Eckerö is a passenger and car ferry business operating on the sea surrounding Åland. 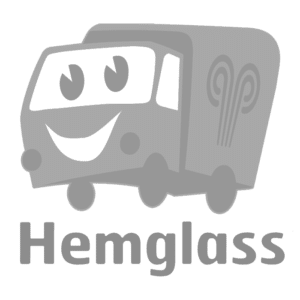 "Hemglass is constantly on the road and actively searching for customers, therefore OS Mobile is the best fit for them." The Swedish Hemglass company strives to be a high-end, home ice cream delivery. "Smooth payment systems make it easier for Flygbussarna to live by their core values, which are to be simple to use, price-worthy and environmentally friendly." Flygbussarna drop their passengers off right outside the airport and provide a convenient and eco-friendly trip into the city. "Since SPG Arena is the facilitator of large events, it is important to not have to depend on 3G, ethernet or wi-fi for payments." Globen is an indoor arena that has the capacity for 16,000 people. "OPEN’s products gives us more control over our business which is perfect for a chain like Slimfood!" 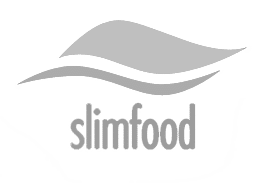 Slimfood is a healthy fast food restaurant chain serving salad and sushi, primarily in Gothenburg but also in Stockholm.